MiGs has established itself a must-attend among the international gaming community. 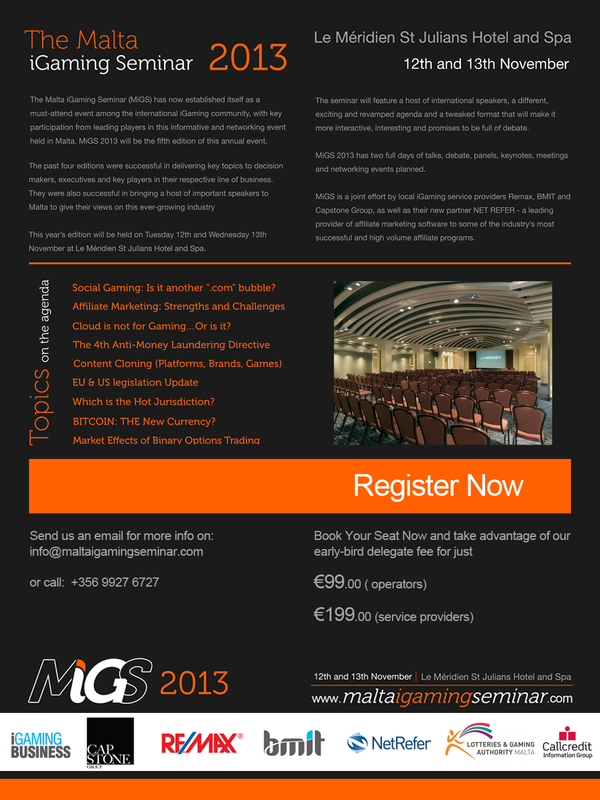 The 2013 edition will be held on 12-13 November 2013, during which the lawww challenges and issues facing the online gaming industry will be discussed. BMIT is a founding member of MiGS, and will be actively participating at the event. If you plan to attend, we would like to meet you. Please contact us to set a mutually convenient time to meet.